iPhone 6 is a hit across the world. Users always think that bigger is always better, but not in case of iPhone 6. With iPhone 6, Apple has improved its camera feature. This device is the most new flagship device featuring the new iOS8. 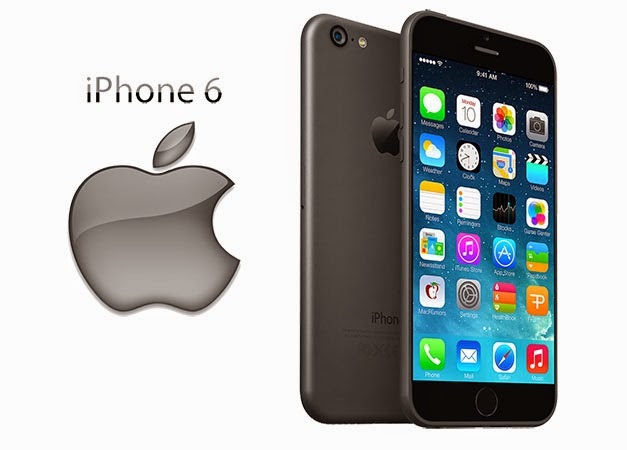 iPhone 6 is a great handset with great price of ownership that is not a price that is making the user to make compromise. The device was launched in September 2014, the smartphone market is flooded with the handset’s performance, features and price of the device. It is always said that you should never make an impulsive decision when you are planning to buy a smartphone. For those who does not have got a chance to own Apple yet must be wondering whether you should buy it or not? A little research might help, so this feature draws a picture about the pros and cons of the device. If you have been using iPhone for a long time and you are used to its previous 3.5” or 4” display, then you should not worry as iPhone 6 features 4.7” that is best for all. It is very handy and its third party apps can be updated fast. Its brightness, vibrant colours and viewing angles makes this smartphone with best displays in the market. With iPhone 6, Apple has abandoned the design of iPhone 4/4S and iPhone 5/5S that is obviously good. Its design is now replaced with unibody aluminium chassis that is tough and looks more attractive visually. Powered by 1.4GHz Apple A8 chipset couple with 1GB RAM makes this handset more appealing when compared with other rivals with quad and octa-core chipsets with 3GB RAM or even more. In terms of its software, iOS faced problems on old phones, but it functions smoothly on iPhone 6. While bugs on the release version of Android Lollipop, makes iPhone 6 more responsive. What is great about iPhone 6 is its consistency for clicking great pictures always. The 8MP lens on iPhone 6 is different of what was on iPhone 4S, iPhone 5/5S. Its digital image stabilization outshines Optical Image Stabilization that is available on Note 4 and Nexus 6. DIS is doing a good job in making flawless videos, while its slow motion video feature makes iPhone 6 a class apart to its competitors. There is no doubt in saying that iPhone 6 comes with great build and looks fabulous. Apple has introduced iPhone 6 with aluminium unibody chassis that not give pleasure to the user while holding in their hands. Being thinner than iPhone 6 Plus, the camera seems to be protruding that makes it looking bad, unfortunately. Another drawback withApple iPhone 6 is its Limited battery capacity, though battery capacity has increased to 1810 mAh. While its Android rivals are boasting themselves with long lasting battery that can last to two days. The truth that might stop you from buying this beauty can be your budget option, as its surprisingly expensive. Its hefty price tag might disappoint you as it does not offer few exciting features like Nexus 6 and Note 4 does. Else buyers can think in a way that in such price they can enjoy high quality features. It can be an advantage and disadvantage for iPhone 6 that it feels bigger than other iPhone’s. The only drawback is its battery while those expecting a revolutionary change might be disappointed. What is missing is its 4K video support. But iPhone’s display, chipset and camera are its biggest strengths. You can now enjoy lot of space as it comes with 128GB storage option, with no more 32GB. Now it is available with 16GB, 64GB and 128GB. 64GB is quite an attractive upgrade feature.